Discussion: High pressure remains in control over the New England Region today. Over the next couple days it will gradually slide east as an area of disturbed weather develops over central Canada. An associated cold front will approach this the area this weekend. 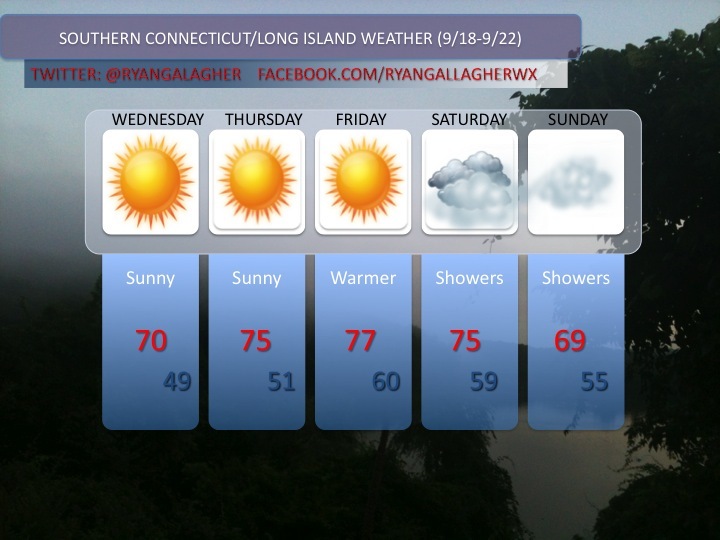 Forecast: Expect sunny skies and a warming trend between now and Friday.